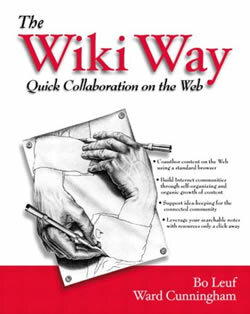 Key difference: Wiki and Wikipedia are both collaborative sites, but are totally different in their content natures. Wiki is a user specified site which is updated and deleted by the relevant user, whereas Wikipedia is an online free encyclopedia, which is known to provide information about the topics. "Wiki" (pronounced [ˈwiti'] or [ˈviti']) is a Hawaiian word which means "fast" or "quick". Ward Cunningham is the developer of the first wiki software WikiWikiWeb, originally describing it as "the simplest online database that could possibly work". Wiki is a collaborative website, which is created to serve different purposes, including both public and private, such as the knowledge management, note-taking, community websites and intranets. The text used for the edition is any markup language or a rich-text-editor. There are many sites running on different types of wiki software. It is a type of content management system that differs from a blog or most other such systems. It has a little implicit structure, which emerges according to the needs of the users. A single page in a wiki website is referred to as a “wiki page”, while the entire collection of pages, which are usually well interconnected by the hyperlinks, "the wiki". It defines a characteristic of wiki technology, from which the pages can be created and updated easily. It enables the communities to write documents collaboratively, using a simple markup language and a web browser. It considers the essential database for creating, browsing, and searching the information. It allows a non-linear, evolving, complex and networked text, argument and interaction. The comments and reviews of the users are not taken under condition, it is a general informative site. 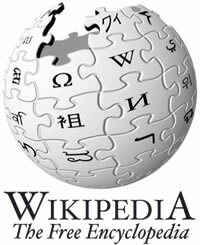 Wikipedia a global online free encyclopedia was founded by Jimmy Wales and Larry Sanger. Its name was coined by Sanger. It comprises of almost 30 million articles in 287 languages, including over 4.3 million in the English Wikipedia. These are written collaboratively by the volunteers around the world. It is the largest and most popular general reference work on the internet, ranking sixth globally among all websites on Alexa, and having an estimated 365 million readers worldwide. It’s an open-source website that began as a complementary project with Nupedia (a free online English-language encyclopedia project). It is an encyclopedia, which includes the general points and covers the important aspects of any subject. Its articles are written by experts and reviewed under a formal process. It’s an open site and can be edited by any individual, who has the knowledge regarding the subject. The contents are analyzed, checked and then uploaded on the official site. The main goal of the open site Wikipedia is to provide the general information regarding any content and topic. These provide the user, with researched and general information of the subjects. It is probably the most popular wiki website in the world today because many people use it for their research on various topics. Its name is a mixture of Wiki and encyclopedia. It is a website or database developed collaboratively by a community of users, allowing any user to add and edit content. It is a free, open content online encyclopedia created through the collaborative effort of a community of users known as Wikipedians. It was founded by Jimmy Wales and Larry Sanger. It refers to any general wiki sites. It is one of the many wiki sites. It is a collaborative website. It is a user oriented website which is operated by the specific groups and individuals. It is an informative site, mainly experts update the information.